This bracelet is an open and close catch and can fit up to an 8 inch wrist. 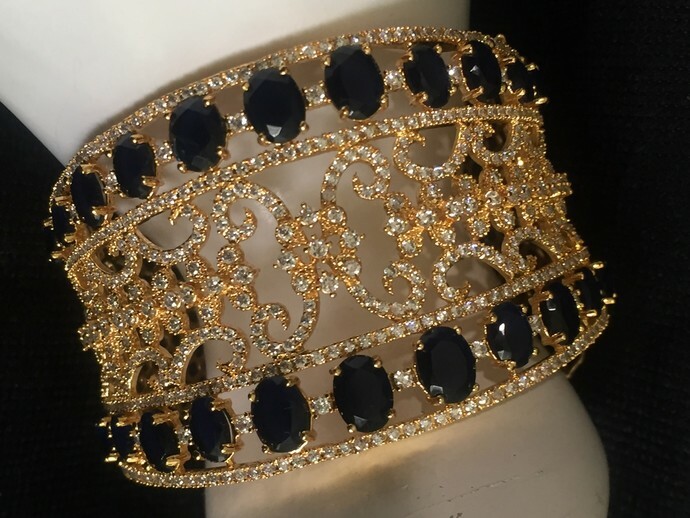 Dark Blue cubic zirconia stones are studded all along both sides of the cuff bracelet, making it very unique. Small crystal clear cubic zirconia stones are intermingles in the design.